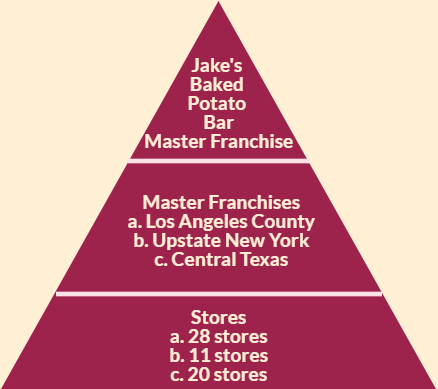 Master Franchise Definition - Learn What They Are and What They Do! Master Franchise Definition - Learn What They Are and What They Do! A master franchise is an entity that has control over all franchising activities in a designated area. checking in to ensure that each location is complying with the brand’s standards. Having assigned business operations in various regions to master franchises, the brand owner becomes what we call the master franchisor. As such, they oversee each master franchise in the same way that the master franchises manage the stores within their designated area. With this in mind, we being to see the pyramid structure that connects each store to the very top. Initiatives move downward from the top, and royalties go the opposite way. Area developer is a term that is more or less interchangeable with master franchise. Certain organizations may prefer one term over the other. A master franchise is also called a master licensee, especially in cases where the territory they oversee is an entire country.